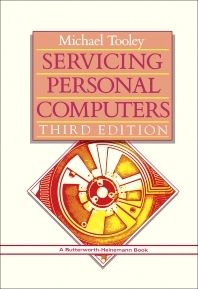 Servicing Personal Computers, Third Edition focuses on processes, techniques, and methodologies involved in servicing personal computers. The publication first elaborates on microcomputer systems and test equipment. Discussions focus on data communications test equipment, choosing test gear, microprocessors, random access memory, parallel input and output, memory mapped input and output, and raster scan displays. The manuscript then takes a look at fault diagnosis and tape and disk drives. Concerns include disk and cassette drives, initial check procedure, testing the CPU board, and fault finding on an RS-232 interface. The book examines printers and monitors, servicing the IBM PC and compatibles, and servicing 68000-based microcomputers. Topics include fault finding 68000-based micromputers, Apple Macintosh, 68000 based systems, 68030 and 68040, support devices, useful memory locations, 8086 and 8088 microprocessors, and user and supervisor modes. The publication is a vital source of data for computer engineers and researchers interested in servicing personal computers.